At the birthday party where my oldest daughter turned 6, I sat a miniature kids table with her and two of her friends. The three girls were trying to have a refined tea party, and I was showing them the proper way to do that. The girls followed suit, held out their pinkies, and several moms laughed and applauded our sophisticated circle. My daughter is 10 now, and I only recently realized how I ruined her tea party, often over-parented and unnecessarily meddled in her life. 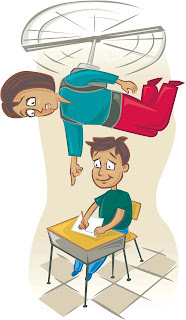 My name is Joe, and I am a helicopter parent. While I have not found an official organization to help me or my kind, I am in self-imposed recovery. I am doing my best to get out of the way to empower my daughter to be more independent, self-confident and free. But in a world in which helicopter parents rule, I have found this much harder than expected. “Helicopter parenting” is so prevalent nowadays, that I say it’s synonymous with “parenting.” We hover, help with homework, put away socks and shoes, schedule playdates, supervise playdates, enable dependence and foster a lack of exploration. Did our parents do all of this? 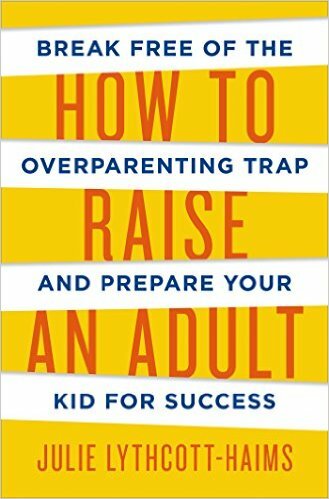 This past summer, the much-needed book “How to Raise an Adult” by Julie Lythcott-Haims came out, and I’m not sure I’ve ran across a more important parenting message. Not only as a parent herself, but as the former dean of freshmen and undergraduate advising at Stanford University, Lythcott-Haims has witnessed constant over-parenting and fills her pages with anecdotes, advice and honesty. 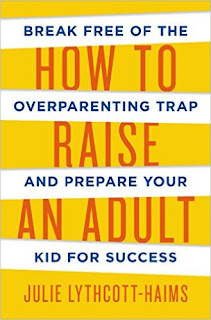 Other books with similar messages are out there, including “The Gift of Failure,” “The Overparenting Epidemic,” “You Are Not Special” and “All Joy and No Fun.” I am hoping the needle starts moving from over-parenting to simply parenting — not only for the kids’ sakes, but for the parents, too. Of course, this type of plan will not happen today. Why? Well, we love our children, and we think we are being smart by keeping our kids away from potential danger. We don’t like to put things in these salacious terms, but we assume the molester. Parents justify their overprotectiveness (AKA sheltering) because of their knowledge that there are criminals who will prey on their children. Mathematically, that simply will not happen. 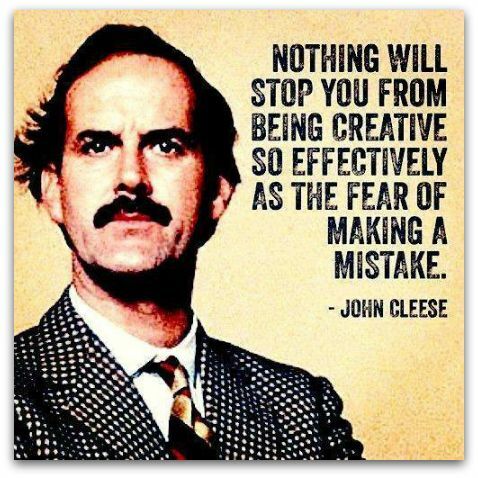 Fear is guiding the way. By being so protective, we are implicitly telling our children that the world is a place of fear. Is that really the message we want to impart? If we never give them steps toward independence, when will they ever be independent? So of late, I have refused to let fear rule my parenting. I have shifted my parenting to be more of a mere consultant with my daughters, to free them of my “checking up on them” and never — yes, never — look at their homework. But do you know what the biggest obstacle I face with my shift in parenting has been? It’s been my children themselves. They do not know what to do with this newfound freedom because they’re not used to it and it’s not what they see with their friends. My fifth grader has absolutely no desire to ride her bike to a friend’s house. 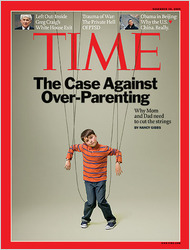 The culture of helicopter parenting is so omnipotent, that it is no easy task to all of a sudden start anew. On the first day without me, my daughters crossed the street, did not get hit by a car and survived. I saw that they joined a fifth-grade friend, who was with her mother. The mother was carrying the student’s backpack, and the child carried nothing. Oh God, is there hope? Well, I’ve found some signs in pop culture that might show others are on my wavelength. If you google helicopter parents or over-parenting, there are plenty of helpful websites out there. There are even quizzes that parents can take to see if they are over-parenting. But here’s the funny thing: Would our parents even discuss parenting? Heck no. I think we simply have to blend our parents’ overly hands-off approach with our over-the-top hands-on approach. Fast forward to my daughter’s birthday party at age 10. I was reforming my ways as a helicopter parent and did my best to not mettle with my daughter and her friends. Age 10 is much different than 6. I noticed that the girls talked about crushes, middle school options and boys not at the party. They looked so far removed from having a tea party that I kind of missed the days when they were younger and their conversations were simpler and more innocent. At the party of 10-year-olds, I never jumped into their conversations or insisted on being with them. For the most part, I had myself situated across the room — nonchalantly eavesdropping on them. Yeah, I was still there, watching and listening. Over-protecting is as bad as indifference, I guess.